I believe it helps you as a Forex trader, if you trade a variety of different time frame charts. So let's talk about that, and more, right now. Hi Forex traders. Andrew Mitchem here, the Forex Trading Coach. This is video and podcast number 215. I'm going to talk about a subject that not many people actually talk about, but it's a really, really important subject. It's about trading a variety of different time frame charts. Most people trade just, probably, one time frame. In fact, most traders and new traders generally trade too short a time frame. Most people would trade five minute charts or fifteen minute charts and it's generally too quick a time frame for most traders. But, that's a subject for another day. For today's conversation, and to help you, I strongly believe that if you can trade two or three different time frame charts, then that would definitely help you to basically smooth out your equity curve and to allow for different trading conditions. To give you an example, I've got a fantastically successful client in the U.S. called Paul. Paul's been with me for a couple of years and he's just having successful trade after successful trade, doing extremely well. On my webinar that I hold for my clients … I hold them every two weeks. Two weeks ago, Paul was on the webinar discussing some of the trades that he'd taken in the two weeks previous to that. On that webinar, he had seven or eight trades that he had taken personally, himself, on the six hour chart time frames. Yet, on the webinar that I held yesterday, he found only one trade on the six hour time frame charts in the two weeks since that previous webinar. Between four weeks and two weeks ago, he had seven or eight trades and in the last two weeks, he's found only one trade on the six hour charts. However, during that same last two weeks, he had eight trades that he shared on the webinar that he had taken himself on live accounts on the eight hours charts. Two of them were stop out and the other six for profitable trade. That's on the eight hour charts. The point I want to make is, because he's trading a variety of different time frame charts … If he had just the six hour charts only, and nothing else, he would have only found one trade in the last two weeks. Yet, because Paul is choosing to trade a variety of different time frame charts, he had only that one of the six hour charts, yet eight he saw on the eight hour charts. He also shared trades that he'd taken on the twelve hour charts, the four hour and the one hour. Of course, myself and almost all of my clients all trade the daily charts. So, for me, it's really important to have a variety of different time frame charts. The good thing is it doesn't involve lots and lots of time at your computer and chart watching. The way that I trade is that I only look for a new trade at the completion of a candle or the completion of a bar. You know when that's happening. The daily charts have just closed at 5:00 p.m. Eastern Standard Time. At the same time, I can go and look at the twelve hour charts, the eight hours charts, the six hour charts, the four hour charts and, if I really wanted to, the one hour charts. There's five different time frame charts there I can look at, all at the same time. It doesn't require lots and lots of chart watching or sitting watching your computer all day and night. Far from it. We want to get away from that. What we do want to do is give ourselves a smooth equity curve and you might find that say … As an example, the four hour charts are producing some, maybe, unsuccessful trades. At the same time, the twelve hour charts or the daily charts might be producing very successful trades, very good trades. What you're finding is that over time you get yourself a smoother equity curve rather than big ups and big downs, which is not great for anybody. That's a way to get around that. On the longer time frame charts, personally, I only enter at retracement orders only, so using buy and sell limits. It means I don't have to even be there at the time the candle closes. Most of the time, I've got a lot of extra time before a retracement order actually fills. So, you don't have to be there at the same time. What is does so, is it allows you to plan your day and work around your trades. I hope that helps. It's all about gaining consistent gains, high reward to risk trades. By looking at, maybe, two or three, or four or five … whatever it is you have time for or what you like to do … different time frame charts, it really does help you become a very successful Forex Trader. If you'd like to know more, drop me an email [email protected]. Don't forget on my website, I've also got two webinars that I hold each week, one for new traders, one for experienced traders. You can also gain access to my free engulfing candle course via my website. 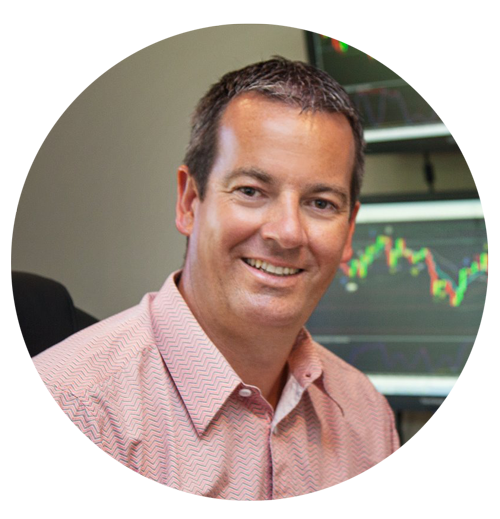 This is Andrew Mitchem, the Forex Trading Coach. Have a great weekend. I look forward to catching up with you this time next week and I hope you have a successful trading week next week. Bye for now.